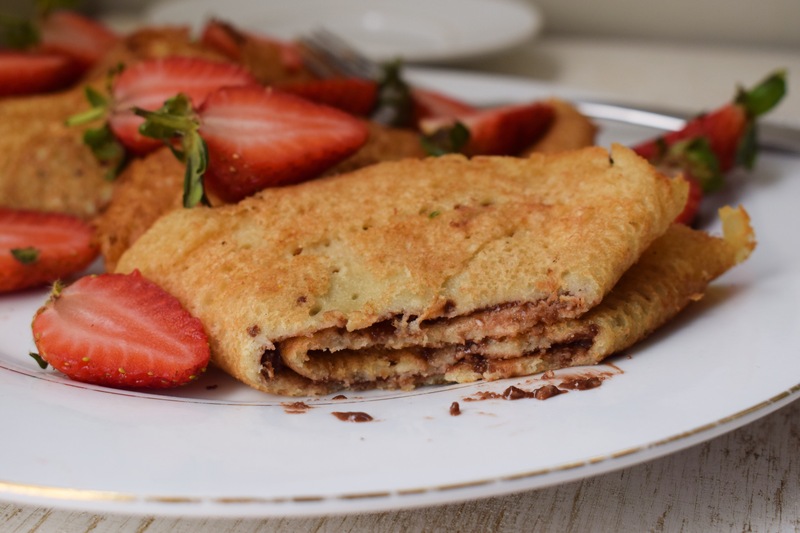 After the crazy first week of college that I’ve had, I could use a batch of these deliciously light crepes. Hi! It’s been a while, I know. Quick update: I have since relocated to Philadelphia. Pennsylvania in the USA from Zimbabwe to start college at the University of Pennsylvania! How’s the first few weeks of college been? Insane, wild and fun to put it in a few words. Expect a blog post detailing my experiences to come soon! Anyways, on to this recipe. I think that crepes are severely underrated and underappreciated. The French really had something going with this one. 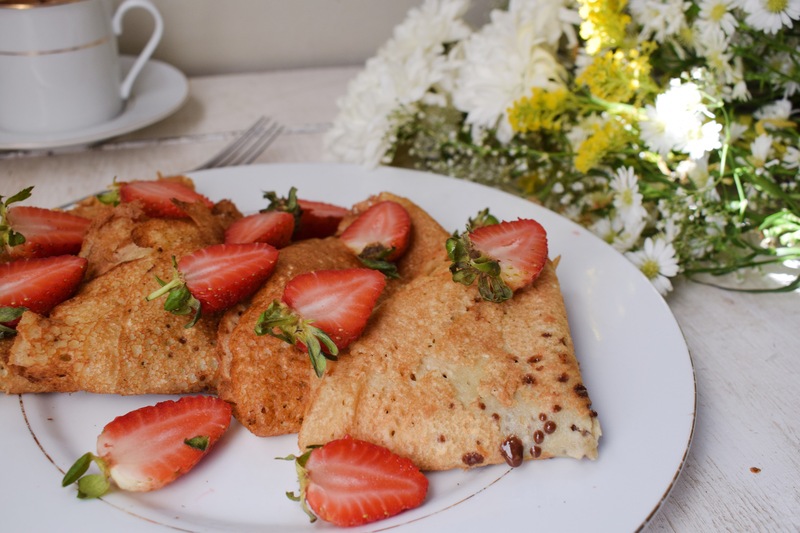 Crepes can be had as either a breakfast option or a dessert, but the best part of having crepes is that the basic recipe never changes but there is an infinite combination of crepe fillings. I just filled these with cacao macademia spread (a vegan alternative to Nutella) and fresh strawberries but you can go with whatever you like! I’ve previously used lemon curd, strawberry jam and even plain sugar. You can top them with powdered sugar, ice cream, custard, the limits go as far as your imagination! Sift the flour, baking powder and salt together in a large bowl. Stir together before pouring in the soy milk, vanilla essence and oil. Stir with a fork until just combined. Don’t worry about getting all the lumps out it’s okay if there are a few here and there. The batter should be very runny. Heat a large saucepan on high and brush with some oil. Try not to add to much oil to the pan otherwise the crepe batter will run with the oil. Use a ladle to pour the crepe batter in the saucepan. Swirl the pan around to spread the crepe batter all around the bottom of the pan. Cook until the edges of the crepe start to turn up, about 2 minutes, before turning over. Remove the warm crepe to a plate and store in a warm oven so that they don’t get cold. Repeat the process until you’ve used up all the crepe batter. Once you’ve cooked all the crepes, spread the lighter side of the crepes with some strawberry jam or chocolate spread. 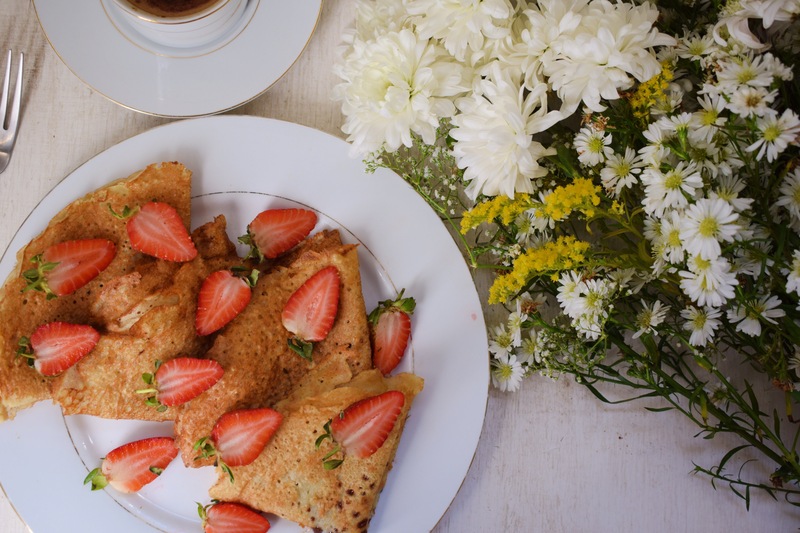 Fold the crepes into half and then into quarters before serving topped with the fresh strawberries. Enjoy! In case you haven’t noticed yet, strawberries are my favourite fruit. They’re available all year round, affordable, small and easy to grab on the go, affordable, deliciously juicy and sweet, easily adapted into any recipe and did I mention, AFFORDABLE?! Blueberries are just as wonderful but at $5 a pound, they’re a fruit that was not made for the poor man. Start by bringing the 3 cups of water to rolling boil before adding the teabags and allowing it to steep. After 4 minutes, discard the tea bags and refrigerate the tea for about an hour or until cold. Add the sugar and 1 cup of water to a medium saucepan and bring to a boil to make a simple syrup. Add the chopped peaches and strawberries and allow to boil for 5 minutes. Strain the syrup into a jug to remove any fruit pieces and leave in the fridge to cool, about an hour. To assemble, add a couple of ice blocks to a 3 quart/3 litre pitcher followed by a couple of peach slices and halved strawberries. 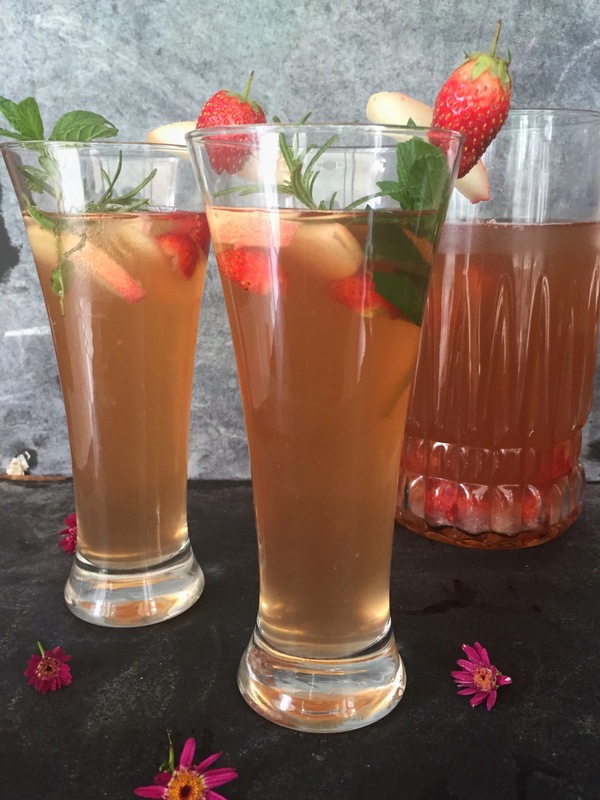 Top with chilled tea followed by the fruit infused syrup. Stir with a long handle spoon until incorporated. Refrigerate until ready to serve. Top with mint and rosemary when serving. I am glad to announce to the world that I am still alive. I’d love to catch you up on what’s been going on in my life but I’m afraid that’s going to have to wait for the next Actuellement post. You can imagine that after close to 3 months of inactivity, I’m a bit rusty to this blogging thing. My sincerest apologies if any of my followers feel as though I have forsaken you, leave me a comment and let’s catch up! 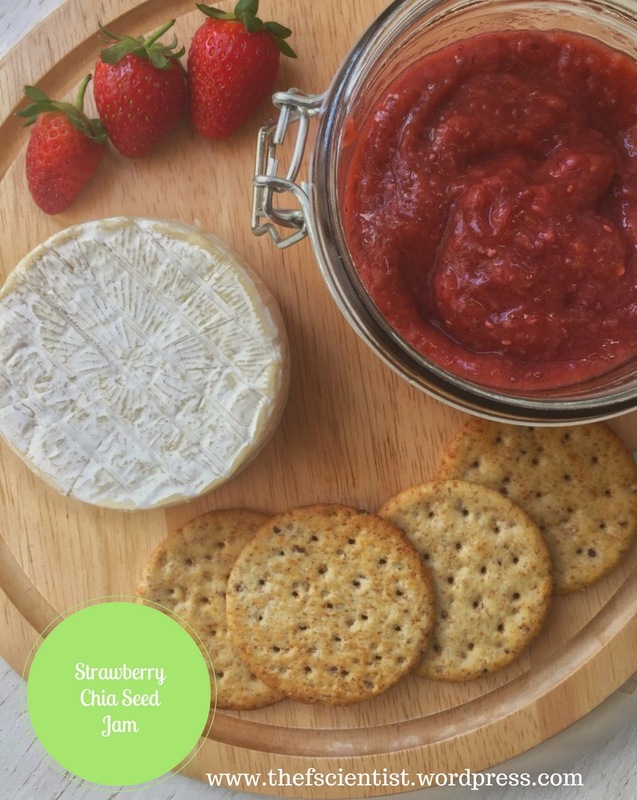 I thought I would ease back into the swing of things with this simple recipe for Strawberry Chia Seed Jam. 5 ingredients. 10 minutes of your time. Vegan? Yes. Paleo? Yes. Delicious? OH YEAH. 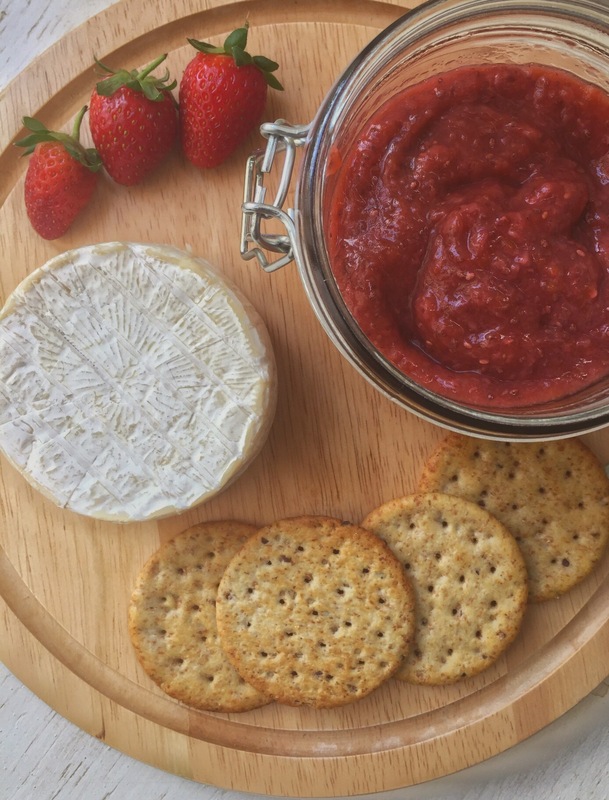 This jam is a perfect accompaniment for any cheeseboard, the sweetness of the jam works wonderfully for a creamy cheese such as brie (which I used in these photos) or cream cheese. This is so much better than anything you would find on any supermarket shelf that you can guarantee is full of sugar and preservatives and all sorts of other nasty things. As a bonus, you can gloat to all your friends at the next wine and cheese gathering that you tackled this all on your own. I’ll raise my glass to that. In a medium saucepan, combine the strawberries, honey and lemon juice. Cookover medium heat, stirring occasionally for 8 minutes, the honey should have completely blended with the strawberry juices. Remove from heat and use an immersion blender* to purée the strawberry mixture until it reaches your desired consistency. Stir in the chia seeds and salt and transfer the jam to a glass jar. Refrigerate for at least an hour.Serve on toast, on crackers with a side of brie or with your yogurt and granola at breakfast. *If you like a chunkier jam with fruit pieces, there’s no need to use a blender. 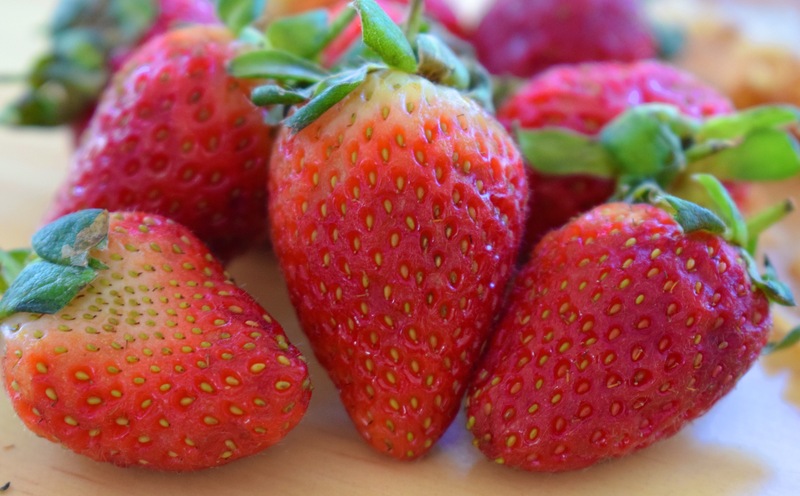 If you don’t own a blender, you can also use a potato masher to crush the strawberry pieces. 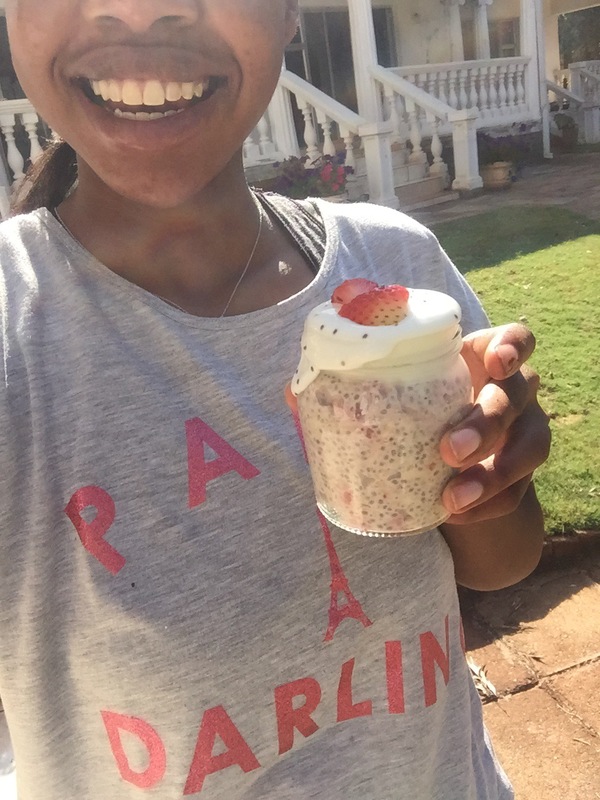 If you’ve read the 3rd post ever put up on this blog then you’ll know how obsessed I am with oats. I go CRAZY for them. Baked, stovetop, overnight, I am not picky. You can catch me eating oats on any given day of the year, I will never get tired of them. I uploaded a Q & A video on my YouTube this week, and one of the questions I was asked was what my go-to school breakfast was. *Drum roll please* it’s these oats! These are easily prepared on a Sunday morning and portioned out for the rest of the week on Monday morning. Done. You don’t have to worry about breakfast for the rest of the week! 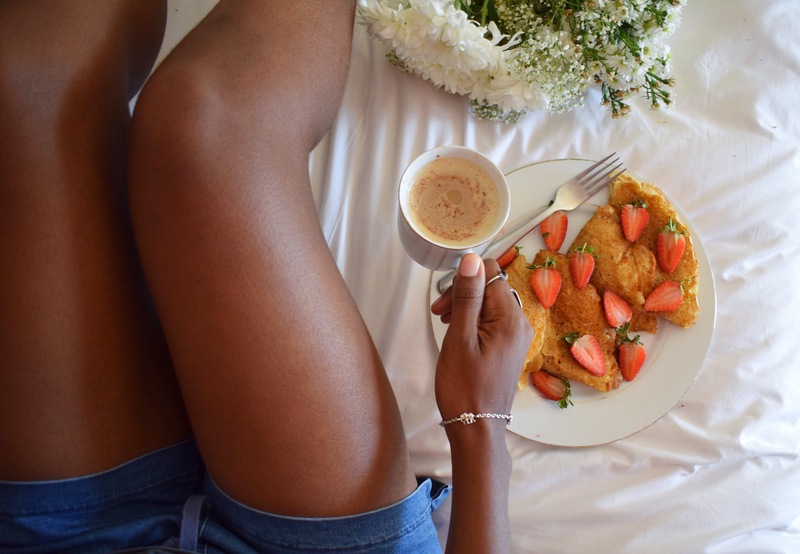 The nutritional value of this breakfast is insane, and it will leave you feeling energised and ready to take on the week with a smile on your face. 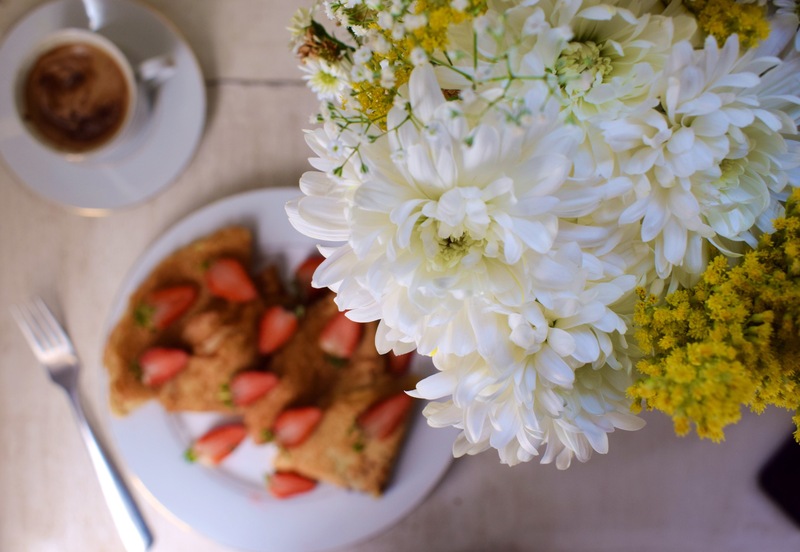 Pair this with my recipe for Salted Caramel Iced Coffee and you will have a winning breakfast on your hands. Add the strawberries to a food processor with the milk and pulse until completely puréed. Stir the puréed strawberries into the oats and mix well. Portion 4 servings into different jars/lunchboxes. Can serve immediately or keep sealed in the fridge for a week at the most. 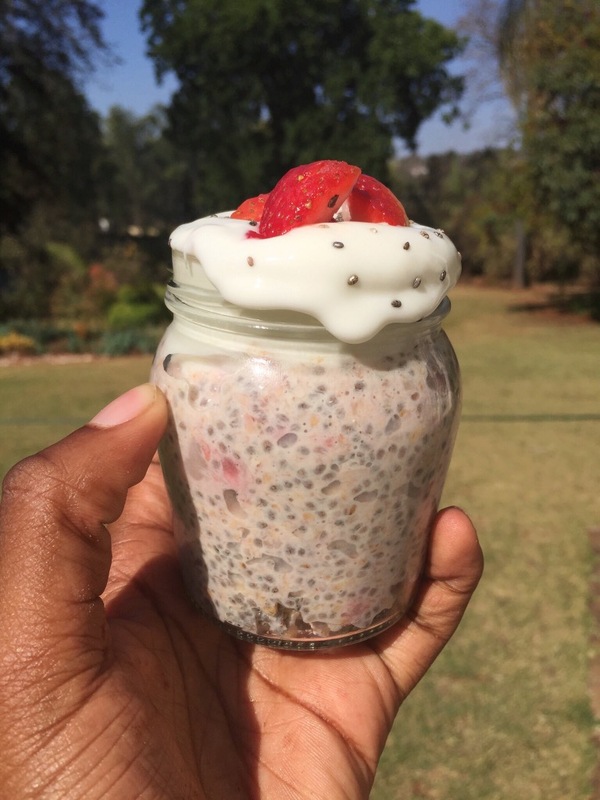 Serve with extra Greek yogurt, fresh fruit, nuts or chia seeds. Living in Zimbabwe means that it’s technically summer all year round. We have 2 seasons: the rainy season and the not rainy season. Averaging 300 days of sunshine a year, it’s always hot here. Now that has its pros and cons. Pro: Ice cream time all the time! Con: Insects from all walks of life want to share your ice cream. 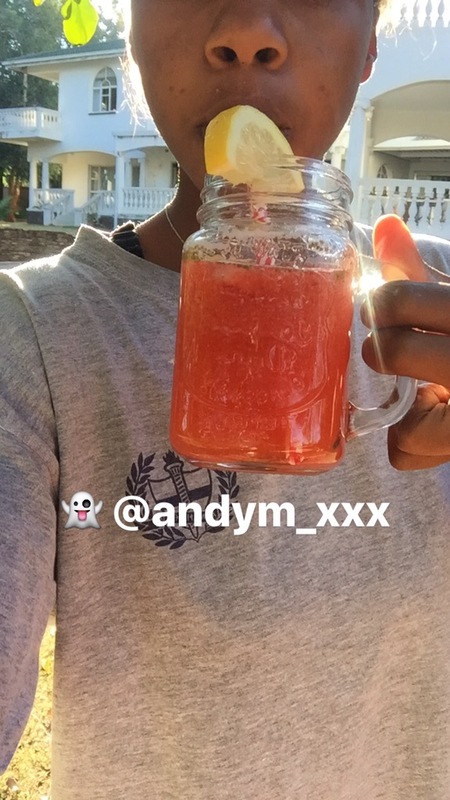 If having hot weather all year round means I get to drink this delicious lemonade all day err’ day then I’ll take that over anything anyday. As our supreme queen Beyonce has shown, when life gives you lemons, make lemonade. 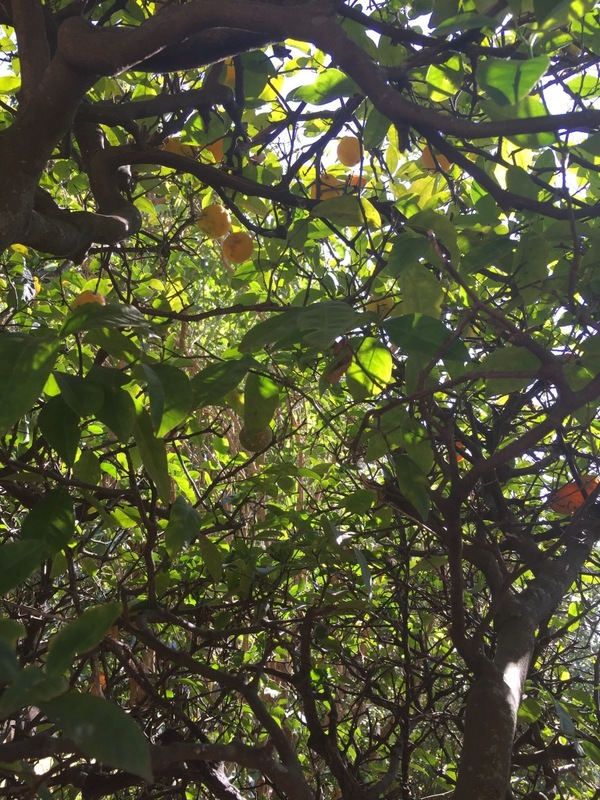 Speaking of lemons, I climbed a tree this week! To get lemons for this recipe!! And then I pulled a muscle because I haven’t been outside in a really really REALLY long time. I blame the lemons for deciding to grow right at the top of the tree. 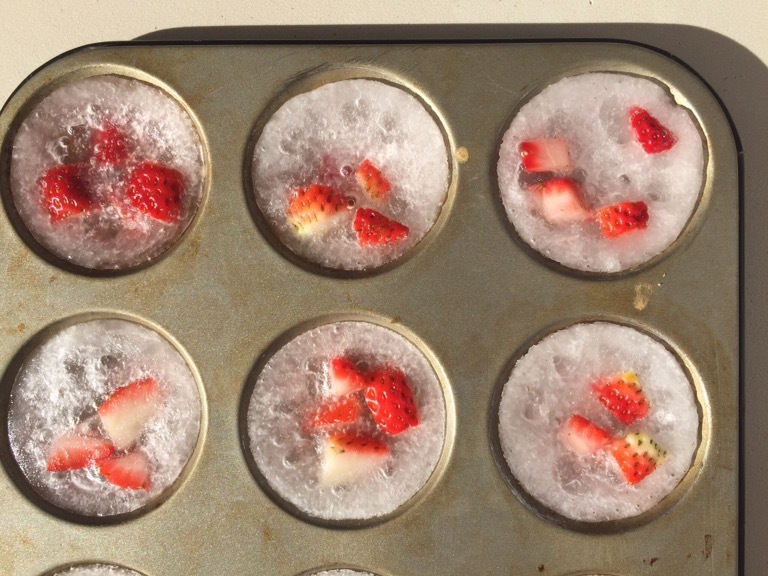 Lifehack: freeze fruit in ice cubes with lemonade so that when the ice cubes melt in your drink, they don’t dilute your drink. If you’re me and short on time, then you’ll cheat and use store-bought lemonade for your ice cubes. If you do have time though, use some of the homemade lemonade to make the ice cubes. I promise that your guests will think that it is so worth it. In a medium saucepan, dissolve the sugar in the water over low heat to make a simple syrup. Bring to a boil and simmer, stirring occasionally until the sugar has completely dissolved. Refrigerate for 15 minutes or until cold. In a blender, blitz the strawberries until completely puréed. In a large pitcher, add the puréed strawberries followed by the lemon juice and the simple syrup. Top up with the water and taste. If too sweet, add more water to dilute. 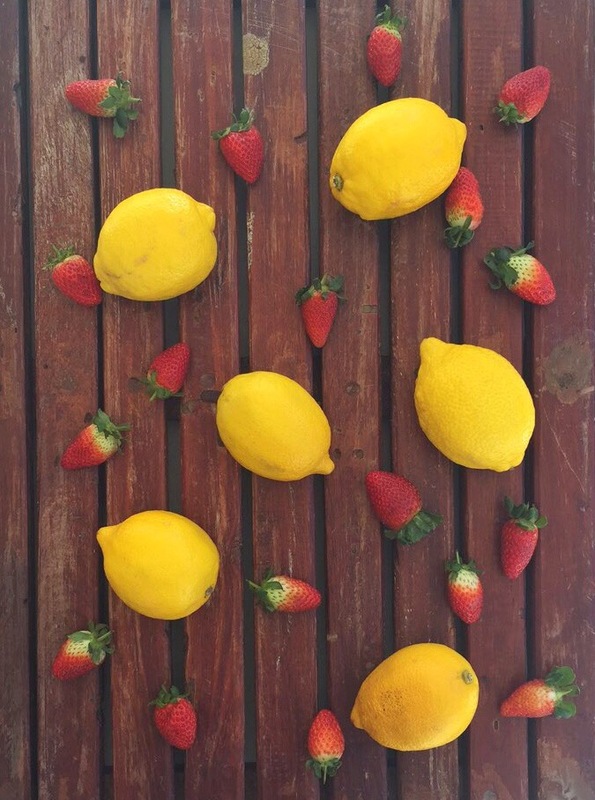 Serve cold with lemonade ice cubes, sliced lemons and strawberries. Yes, I know, it’s been a while. A bit too long if you ask me, but I swear it’s a funny story. So my camera ran out of battery. And I couldn’t find the cable. Okay, maybe not so funny, but there’s no need for you to be so cold (haha). Did you know that you can make your own ice cream, at home, without a machine, with just 4 ingredients? No joke. And I’m the type of guy that plays April Fools Day jokes right until the end of the month. And this has to be mentioned, because you guys have to know, this ice cream is SOFT SERVE. That means, it doesn’t give you the kind of ice cream that’s a lot more ice than it is cream, if you know what I mean? Also, this recipe doesn’t involve you freezing a banana. Don’t get me wrong, that is probably a way more convenient way to make ice cream, but I HATE bananas. More than anything on this planet. Bananas are my sworn enemy. We will never be friends. Instead, this recipe uses condensed milk, fresh cream, vanilla essence, strawberry syrup and cream cheese. And if you’re not keen, you can totally leave the strawberry syrup and cream cheese out and still end up with killer ice cream. And this is amazingly simple! Just whip your ingredients together, stick them in the fridge for 4 hours, and you’re done! Didn’t even have to work up a sweat. Add the strawberries, water and sugar to a medium saucepan, and heat over medium low until the mixture boils, about 10 minutes. In a small bowl, whip cream using a handheld electric whisk until stiff peaks form, between 7 and 10 minutes. Scrape the whipped cream into a larger bowl. Using the same small bowl from before, whisk the cream cheese until smooth, about 3 minutes. Add the condensed milk and vanilla essence and mix until combined. Carefully add the cream cheese mixture into the larger bowl and fold into the whipped cream. Stir until everything is combined, be careful because the cream cheese mixture tends to sink to the bottom! In a loaf pan, pour half of the cream mixture into the pan, and pour half of the strawberry syrup in, using a toothpick to swirl as soon as it hits the mixture (it tends to sink the bottom). Distribute the crushed Marie biscuits over the ice cream. 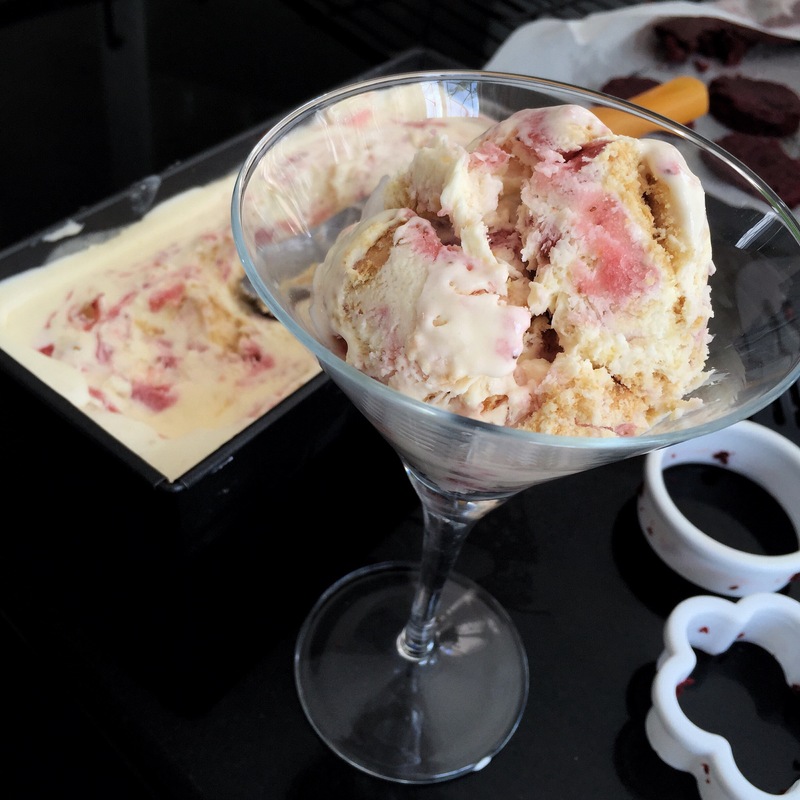 Layer with the rest of the ice cream mixture, and pour and swirl the remaining strawberry syrup on top. Freeze for about 4 hours, or until the top is solid. Serve and enjoy! But yes, after a month of eating, getting fat and hiding from the internet, I finally had the courage to come out and share with you all. So here we go, cocktail pancakes. I saw this idea over on I Heart Naptime and I thought it was brilliant. Absolutely brilliant. And I have a multitude of ideas for what you can do with this, it’s just that in the rush of my excitement to get back to you, I didn’t get the chance to do that. But I do promise you this, it’s coming. I think the most difficult thing about this recipe is getting the pancakes small enough. It took me NUMEROUS attempts to get them the perfect shape AND size. Also, make sure that you cook these on medium-low. I made the mistake of cooking these on high heat, and the problem is that they get beautifully golden brown on the outside, but they’re not cooked on the inside (which isn’t a problem if you like pancake batter). And if you’re absolutely terrified of raw pancake, don’t be afraid to use your spatula to flatten the pancake once you’ve flipped it over, or just omit the baking powder altogether. If you love seeing THICK pancakes, then add all the baking powder you like. Sift the dry ingredients into a medium sized bowl and stir to combine. Add the egg, milk and vanilla and mix until you have a smooth batter. Melt about ½ tbsp of butter in a hot non-stick pan and drop about HALF A TABLESPOON of batter in at a time and cook on medium-low heat until bubbles just start to form on one side and flip, cooking for another minute before removing to a plate. Halfway through the batter, melt the other half tablespoon of butter in the pan and cook the rest of the batter. Cut the strawberries into quarters. Using a butter knife, spread the Nutella on one side of all the pancakes. 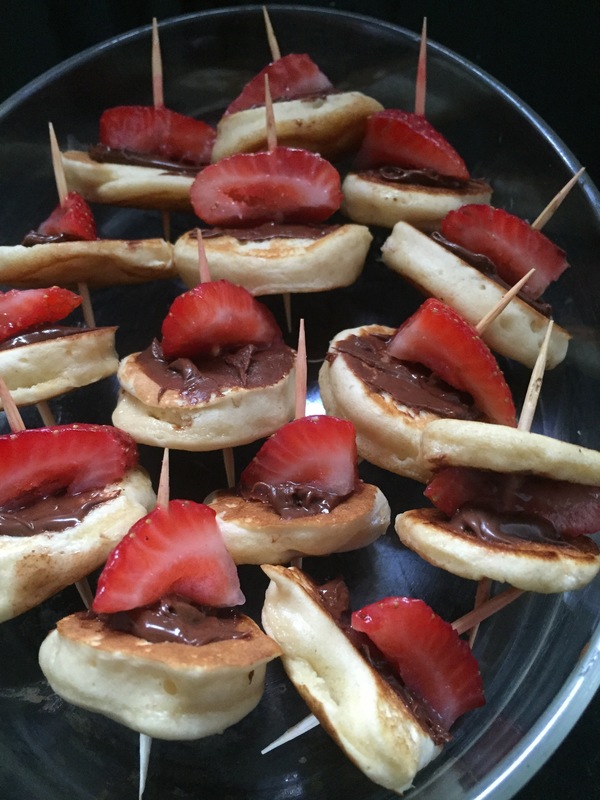 Grab a toothpick, and slide a pancake onto it, keeping the Nutella side facing up. 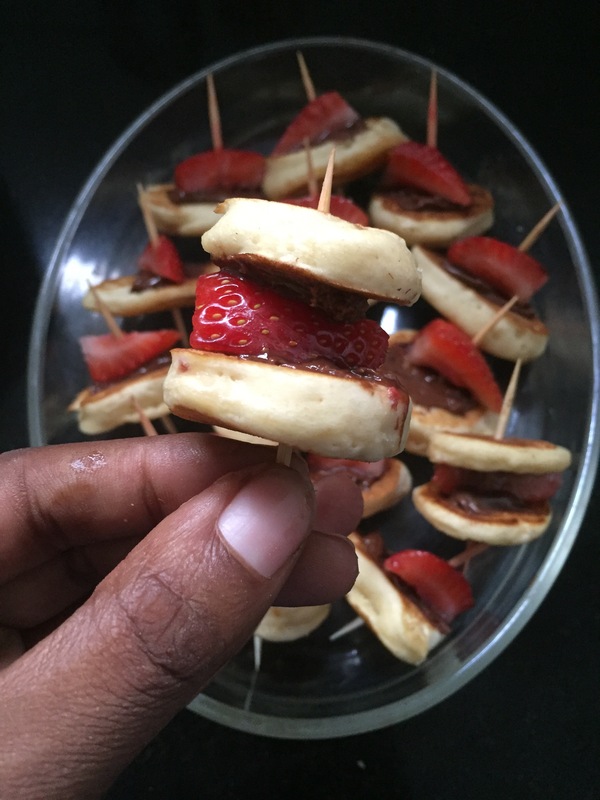 Skewer a strawberry on top of the pancake, making sure it is in contact with the Nutella side of the pancake. Add another pancake on top, making sure this time that its Nutella side is facing down. Repeat until you’ve used up all the pancakes. *If you’re scared your pancake won’t cook on the inside, or you prefer flatter pancakes, you can leave this out. Or, you could also choose not to sandwich the kebabs if you like, I just did a mixture.